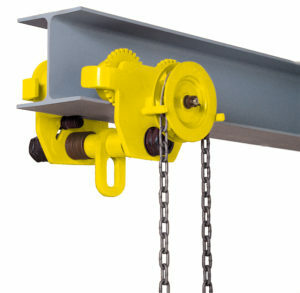 Tuffy Hoists, Beam Clamps and Trolleys are preferred by riggers, millwrights, and maintenance workers because they are tough, dependable, yet affordable. 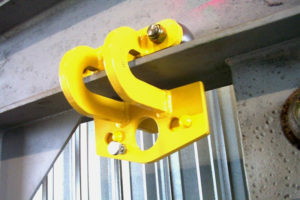 They are commonly used on construction projects, petrochemical projects, and marine applications for bull rigging, floating loads, adjusting piping, and aligning beams in steel fabrication. • Easily adjusted to any beam width within range. • Powder coated paint finish. • Precision ball bearing trolley wheels with machined tread for smooth operation. • Conforms to ASME/ANSI B30 standards where applicable. 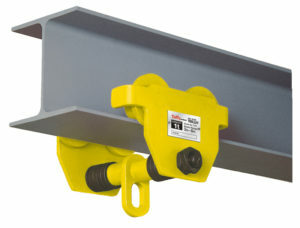 • Quick and easy installation on beam -- No special tools required. No adjustment required. • No spacers or nuts required. 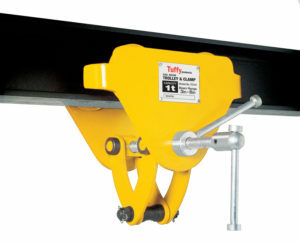 • Tuffy Universal Trolleys are built to ASME B30.16 standards as applicable.